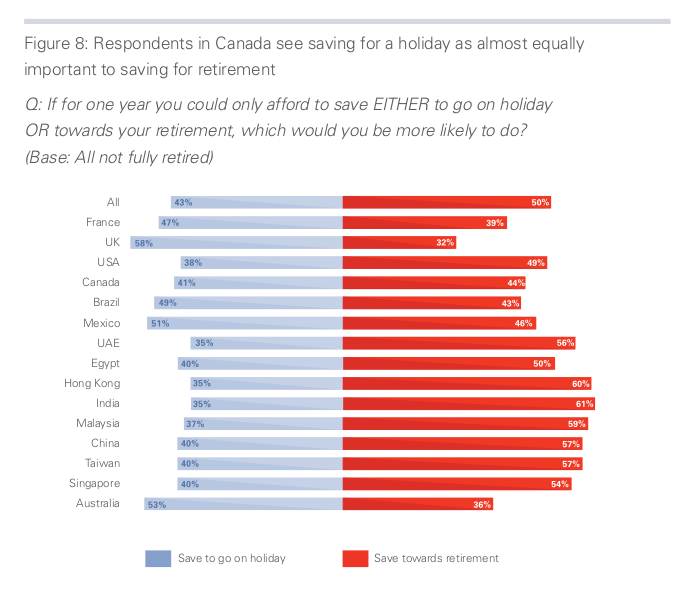 Canadian Financial DIY: HSBC surveys: Save for holiday or retirement? #1 Advice from those retired in Life after work: "Start saving at an early age", closely followed by "Don’t spend what you don’t have" and then "Start saving a small amount regularly". Clearly successful retirement planning is rocket science. 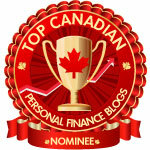 Some not very common advice: "Stick to low/lower risk savings" and "Try high/higher return investments". #1 Reason non-savers are not saving for retirement in A new reality: "All my money goes into living day-to-day" ... but another chart (copied below) from the same report finds that saving for a holiday is as important as saving for retirement. Hmm, so what exactly are those essential day to day expenses people think of when they say they cannot contribute to their RRSP? #1 Policy desire by Canadians for what the government should do to help people prepare for retirement in Investing in later life: "Enforce additional private savings". 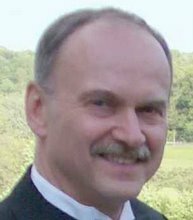 Yet another survey in 2009 seemed to find the opposite opinion as 48% favoured what looks like a voluntary approach: "Encourage more private savings through tax relief on savings". Perhaps this is why the government is sitting on the fence? My name is Dom Einhorn and I am with Powerclick.co, one of the fastest-growing pay-to-view advertising networks.. I believe that your site can benefit from the tremendous exposure Powerclick provides, at the lowest prices per click. Our advertising platform is 100% self-serve, with instant activation. It takes 5 minutes to set up, fund and activate your campaign. Should you have any questions, simply contact me via promo@powerclick.co (.co, NOT.com) and I will get back to you as quickly as we can.